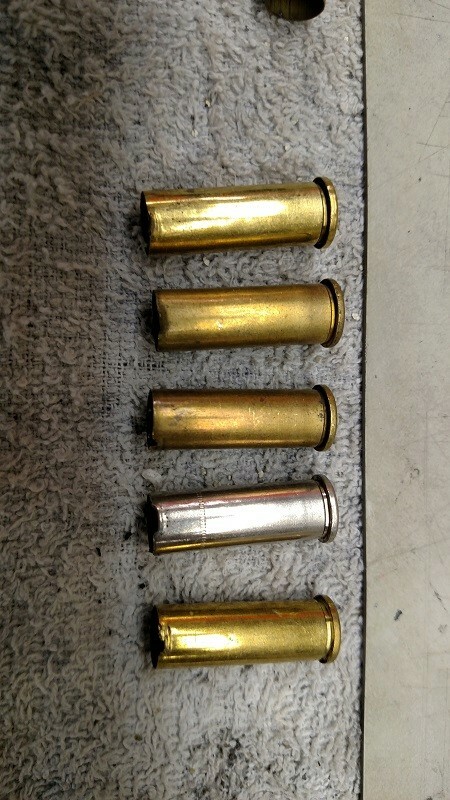 I got some used brass from a friend, as I was sorting by head stamp I kept running into cases like these. What type of gun or malfunction causes this ? That's the damage caused by the loading machine. When the case is not lined up properly with the die, the die crushes a part of the case when the loading operation is forced.